The e-commerce boom has provided tremendous opportunities for growth for LSPs and retailers. However, it has prompted a fundamental change in the operations that take place within logistics facilities, compared to the operations which feed brick and mortar outlets. e-commerce logistics provides a very different challenge. Global e-commerce Logistics 2017, offers readers valuable insight into the development and future prospects of this market. The report takes a top-down approach and presents this analysis first from a broad, industry-wide perspective, and then delves further to examine the supply chains of major e-retailers and the logistics providers which support them. It features analysis on the differences in e-commerce supply chains and how retailers have had to adapt to keep pace with their competitors. It looks at the progression of the last-mile and how LSPs have adapted to expectations for a low cost, high-quality service. The report also examines technological capabilities and how they are being deployed to meet these high customer expectations. In addition, as well as Ti’s bespoke market size and forecasts at a global, regional and country level, Ti is offering, for the first time, the data and analysis of e-commerce related logistics costs as a % of sales for 20 online retailers. The 2017 edition of the Global e-commerce Logistics report is available to download today. For more information, please contact Michael Clover. What will you learn about e-commerce logistics market sizing and cost structures? Analysis of how logistics costs are divided between fulfilment and last-mile costs. Evidence from six companies. What will you learn about the effects of e-commerce on the warehousing industry? LSPs and retailers operating e-fulfilment centres must drive economies of scale if they are to run profitable operations. Warehousing features, locations and supporting technologies have come under strain as a result of changing consumer expectations, particularly within the last mile. Ti has examined the changes and provides examples of retailers’ various e-fulfilment options. Retailers’ planning software has been optimised over the years for a single distribution channel: brick and mortar. Ti has examined the tech which has supported the industry so far and the tech which could disrupt it. David contributes to the GSCi portal, Ti Reports and consultancy projects. He also is author of many briefs for Ti’s Logistics Briefing service. His key interests are the economics of the logistics sector, emerging markets and statistical modelling. Lilith is Head of Ti’s Research Department. She joined the company as a Researcher working primarily on the providers’ area of the GSCi portal and quickly brought improvements to the organisation of the department. Lilith took on responsibility for managing Ti Reports and now manages the full team of researchers and analysts. Lilith’s focus is on quality and her goal is to ensure that Ti research products continue to lead the market. As a graduate in International Relations, Alex brings a variety of knowledge and interest to his role as an Analyst at Ti. Alex’s drive to constantly provide quality analysis for the logistics industry has led him to increase his area of responsibilities to include investigating the potential for new products, training new recruits, and scanning the horizon for the next big thing. Violeta is a research analyst with vast experience in the design, implementation and analysis of electronic and person- to-person surveys. Violeta is a research analyst with vast experience in the design, implementation and analysis of electronic and person-to-person surveys. Having worked across a number of sectors, including retail, luxury goods and FMCG, Violeta is experienced in gaining valuable insights across brand perception, voice of customer and strategic re- positioning intelligence campaigns for B-to-B and B-to-C clients. How has the growth of e-commerce impacted warehouse development? What are the most significant features of warehousing in e-commerce? How do logistics networks vary to support the industry? How have logistics networks developed to support changes in consumer expectations for the last-mile? What can B2C learn from B2B? Which providers are utilising alternative delivery networks, and why? Which regions are forecast to grow the most between 2016 and 2020? What are the e-commerce logistics costs as a % of sales for 20 online retailers? How are logistics costs divided between fulfilment and last-mile costs? 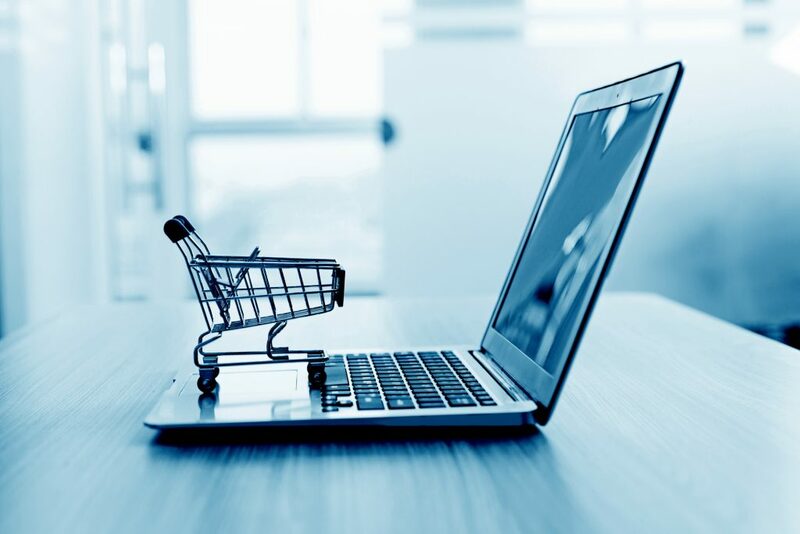 What do traditional and e-retailers expect for the future of e-commerce? How are retailers adapting to changing consumer demand? How do retailer supply chains compare to one another? How have LSPs responded to the growth of e-commerce? Where are LSPs focussing investments? Ti estimates that the global e-commerce logistics market grew by 18.1% in 2016, and has forecast a 2016-2020 compound annual growth rate (CAGR) of 15.6%. Low, expected and high forecast scenarios have been presented. Asia Pacific, the largest e-commerce region in the world, remains the main driver of global e-commerce sales growth, with the bulk of sales coming from China. Online retail sales growth in 2016 exceeded 10% in most markets, even developed e-commerce markets such as the US, the UK and Germany. In emerging markets, online retail sales growth was considerably higher. Even though it is the smallest e-commerce and e-commerce logistics market, Africa is expected to grow faster than any other region to 2020. B2B e-commerce is colossal, though the extent to which it offers new opportunities for LSPs is questionable. Cross-border e-commerce sales accounted for 20% of global e-commerce sales in 2015. Per item, it should be expected that e-commerce logistics costs for cross-border shipments are on average higher compared to domestic shipments. It is unclear however whether cross-border shipments are associated with higher logistics costs as a proportion of sales than domestic shipments. Amazon and Alibaba are manoeuvring to establish themselves as players in the transportation of cross-border freight. Through further incremental actions, these companies will become increasingly influential. Artificial Intelligence is becoming increasingly pervasive within various points in the supply chain, though as of yet, the technology is limited by the availability of data. 3D Printing is unlikely to ‘disrupt’ e-commerce, though it will have a significant role in the customisation of products. e-commerce logistics costs structures of online retailers are fundamentally affected by the type of goods they sell, the retail channels through which they sell, the geographies they operate in and other factors. Logistics costs structures of online retailers have been benchmarked to provide insight on how e-commerce logistics costs as a % of sales vary by vertical, retail channel and geography. Varying retail channels can drive large relative differences in e-commerce logistics costs across countries, though these differences should narrow as omni-channel becomes more important. Emerging markets appear to be associated with lower e-commerce logistics costs as a % of sales compared to developed markets. This is largely driven by lower labour costs. The division of warehousing and last-mile costs has been benchmarked for several online retailers and they are broadly consistent across companies. Store-based retailers have lower logistics costs as a percentage of sales compared to multi-/omni-channel retailers and pure plays. Costs have been benchmarked by vertical sector. 7th February 2017, Bath UK: Ti is pleased to announce that the 2017 edition of its Global e-commerce Logistics report is now available to purchase. The report offers readers valuable insight into the development and prospects of this market. A key theme examined throughout highlights e-commerce itself as the disrupter to ‘traditional’ e-commerce logistics. Presented from multiple angles (global and regional, fulfilment and last-mile, and from retailers and LSPs) the report offers comprehensive analysis on e-commerce logistics trends which could provoke further developments and innovations within the industry. Even in developed markets, e-commerce logistics is relatively nascent with the structural shift towards higher online retail penetration ongoing. As the market evolves, new logistical challenges are constantly emerging, in last-mile delivery but also with regards to the fulfilment of online sales. Coupled with the fact that growth is rapid - a global 2016-2020 CAGR of 15.6% is expected - many businesses seem to be forever searching for a comfort zone that they may never find, such is the pace of change. In this report Ti has presented the supply chain strategies of global and regional retailers practising pure online as well as multi- and omni-channel business models. In addition, the report includes profiles of some of the major LSPs operating in this market. These profiles examine how these businesses are responding to national and regional intricacies of consumer demand and the dominance of Amazon. To learn more about the e-commerce logistics industry visit the Ti website or contact Michael Clover. Transport Intelligence (Ti) is one of the world’s leading providers of expert research and analysis dedicated to the global logistics industry. Utilising the expertise of professionals with decades of experience in the mail, express and logistics industry, Ti has developed a range of market leading web-based products, reports, profiles and services used by all the world’s leading logistics suppliers, consultancies and banks as well as many users of logistics services.